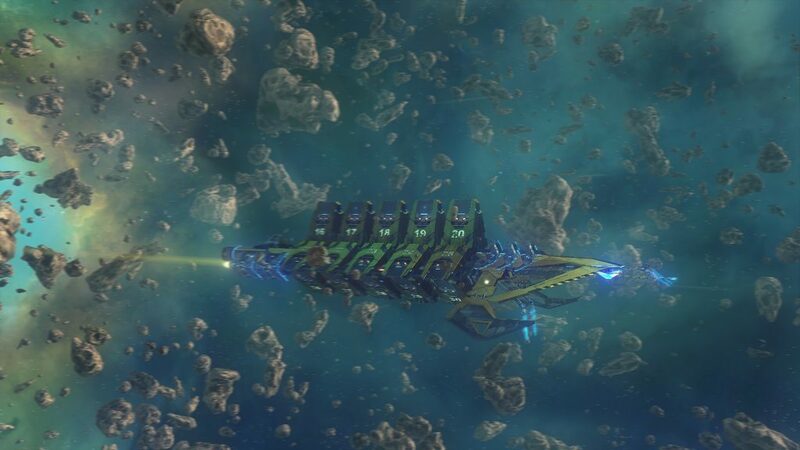 Star Point Gemini Warlords Tech Interview: Space, Strategy, Action! Marketing Manager Igor Gajic, CEO Mario Mihokovic and Chief Technology Officer Zeljko Kos answer questions regarding the game’s development. 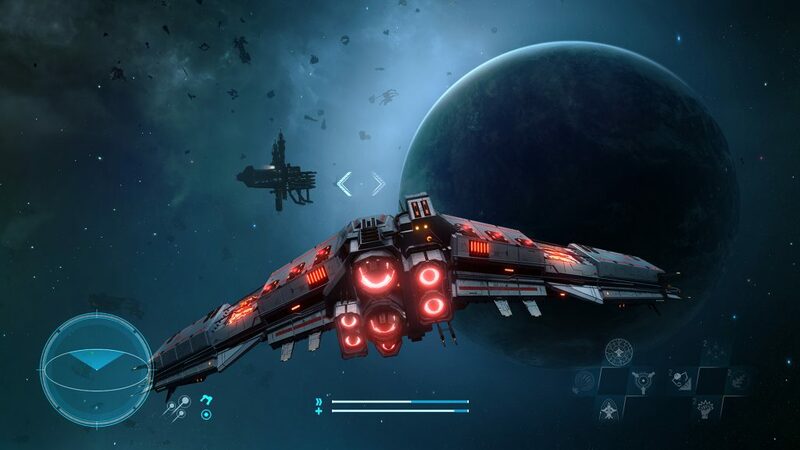 Starpoint Gemini Warlords is a game that blends many different genres such as space trading, strategy, and action. Achieving this balance is certainly no easy task but developer Little Green Men Games has closely worked with the community to try and ensure that the game offers an engaging and enjoyable experience. To learn more about the game’s development and about the future content planned to be released, Gamingbolt spoke to Marketing Manager Igor Gajic, CEO Mario Mihokovic and Chief Technology Officer Zeljko Kos. "There are actually massive changes in contrast to Starpoint Gemini 2. A whole new layer of gameplay has been added to Warlords, in terms of “light” 4X strategy, more than 60 factions, headquarters upgradeability, economy, diplomacy, etc." This is the third game in the series. What are some of the changes from previous entries in the series? Igor Gajic:There are actually massive changes in contrast to Starpoint Gemini 2. A whole new layer of gameplay has been added to Warlords, in terms of “light” 4X strategy, more than 60 factions, headquarters upgradeability, economy, diplomacy, etc. Even though the game may look similar to Starpoint Gemini 2 (from visual standpoint), the Warlords engine is a completely different entity in contrast to SPG2. As a game that mixes elements of strategy, role-playing, and action, were there any challenges faced in trying to achieve a balance? Igor Gajic:Yes, definitely. During the production cycle we had to constantly fine-tune the balance between those genres, which in the end resulted with a game that could be played as a space exploration RPG, or a strategy, or everything altogether. Though, we have to say that everything wasn’t super peachy regarding the game when it got released, but thanks to a very flexible engine, we have fixed some things, and added some new, community-requested features, for free. 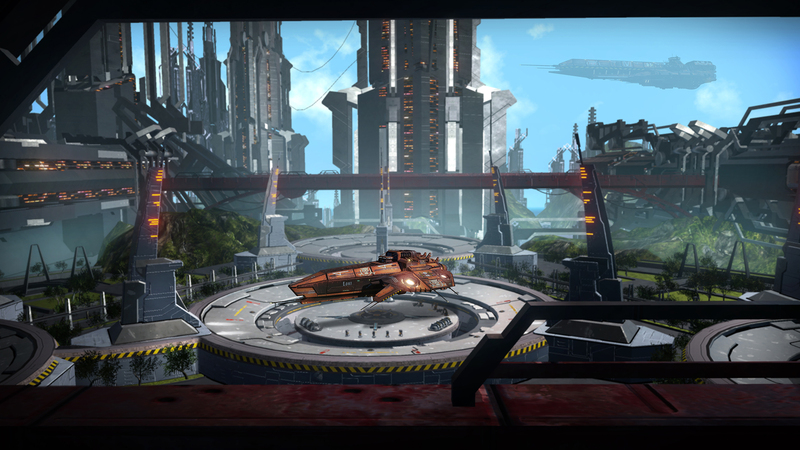 Are there plans to bring out a sequel to Starpoint Gemini Warlords? If so, what are some of the changes we can expect to see in this new iteration? Igor Gajic:Sequels are planned, but it is too early to talk about them at this moment. Will you be continuing to update the game with new content for a while? Can you tell us anything about what you have planned in the near future? Igor Gajic:Oh, most definitely. When it comes to Xbox One, we first have to fix some nasty bugs that ended-up in the final build. Thankfully, as I write this, we are sending a new update for certification that should fix most of the issues with freezing and crashing. Additionally, all DLC content that is available for PC, will come to Xbox One as well, as well as all free content that we plan to bring to PC, and vice-versa. 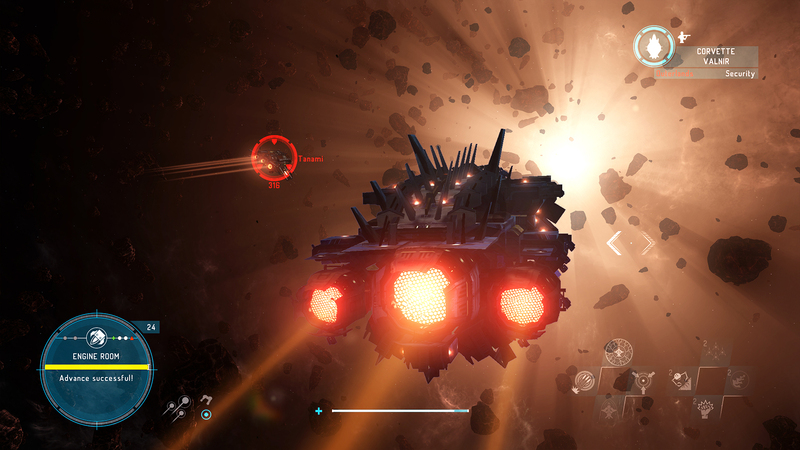 "We love space titles, but we also love deep and engaging gameplay. A combination of those two may not be for everyone, although we were completely aware of that." What are some of the inspirations behind this game? Igor Gajic:Well, we all grew-up with timeless classics like Freespace, Freelancer, Wing Commander, and we are big fans of some currently available titles such as Elite: Dangerous, X series, and similar. I believe that it’s pretty obvious that you’d find “parts” of those titles in Starpoint Gemini Warlords. 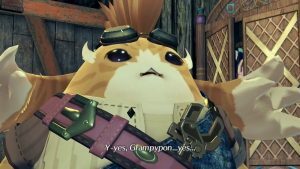 Games of this genre are usually difficult to get into for newcomers? Have you tried your hand at making this game more accessible, or has the goal been to just reach out to a niche audience? Igor Gajic:We love space titles, but we also love deep and engaging gameplay. A combination of those two may not be for everyone, although we were completely aware of that. So yes, Starpoint Gemini Warlords can be considered a niche title with strong audience and brilliant community. Related to the previous question, how do you balance the line between accessibility and complexity? Igor Gajic:That is a good question. We do understand that games should be fun, accessible and hold hands to some point where you simply have to give the player a freedom to engage with your gameplay mechanics. Basically, if you make a complicated game without a good tutorial, or an overly simplified game, you’ll be making the same mistake. We still believe in that old-school style of gameplay, where you, as a player actually need to make a small effort to understand the game before completely losing yourself into it. So, players will never see a “Press a button to pay respects” mechanics in our future games, that’s for sure. How important has community interaction been during the game’s development? Would you say there are some important benefits in working closely with the community? Igor Gajic:Immensely important. A lot of the ideas, mechanics and features that ended-up in Starpoint Gemini Warlords were actually on a community wish-list. So, yeah, it’s safe to say that there are some hugely important benefits in working closely with the community. Even today, when Warlords are already on the market on two platforms, our players on Steam forums and Discord are giving us some great ideas that we try to implement with future updates. "Warlords is our first game that was almost completely based on community suggestions. Shifting through thousands and thousands of comments, reviews and suggestions finally revealed what type of gameplay our players would like to see." What are some of the challenges you faced during the development of this game? Are there any other genres or concepts for games you would like to try out? Your development team recently stated that the PS4 is a nemesis to your engine. Can you please elaborate on this? Zeljko Kos: No, not exactly a “nemesis”. It’s really simple actually. Our engine doesn’t support OpenGL API, and basically it’s our fault that we didn’t make it possible so far. Are we considering it? Yes. The game supports Xbox One X but will it run at native 4K and 60fps? 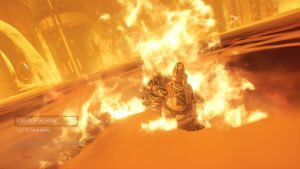 Zeljko Kos: The game is still being optimized, and 4K is not there yet for Starpoint Gemini Warlords. As soon as we optimize the game enough, it will support 4K on One X. Will it support 60 fps? We’ll see. The Xbox One X doesn’t feature eSRAM. How did this helped development given the pain it bought on the base Xbox One? 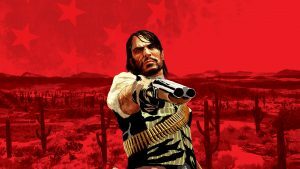 Zeljko Kos: No, it didn’t because the game had to run on both Xbox One and Xbox One X. So yeah, we still had to deal with ESRAM. While developing this patch, how difficult was it port over the 4K textures, assets etc. from the PC build to the Xbox One X? Zeljko Kos: We are still working on optimizations for 4K. Since we have an open-world game, textures can take a lot of memory, especially if you play on the highest settings. This should be not an issue on the PC, where you can have a lot of RAM and VRAM. Xbox One X, even though is a powerful console, has its limitations, and we have to be vary of those obstacles. The Xbox One X features a pretty powerful GPU but a weak CPU. How did you balance this out? Zeljko Kos: This is a biggest shortcoming for us. Starpoint Gemini Warlords is an optimized game in contrast to Starpoint Gemini 2, but the sheer number of ships and the gameplay scope can make a massive load on the CPU. We didn’t want to cut the gameplay on Xbox One, so we had to use some tricks and heavy optimizations in order to reduce CPU load. Additionally, our main thread is overloaded, which brings issues in big fights; i.e. when you have 100 ships fighting each other. That’s why we are still working on optimizations. In your opinion, how does the Xbox One X compare against the PS4 Pro? Zeljko Kos: No opinion on that topic for now, because we didn’t make games for PS4 yet, but we do hope we will. Do you think the Xbox One X is powerful enough to render high end AAA games at native 4K? Zeljko Kos: If graphics is optimized, then yes, for sure. We didn’t have issues with rendering, but with GPU and memory in terms of texture size. "One X is pretty powerful, although top-of-the-line PC gaming rigs will always be more powerful. You simply cannot change that, primarily because PC hardware is always evolving, while console hardware rather quickly need to catch-up." How does the Xbox One X compare against modern gaming PCs? Igor Gajic: One X is pretty powerful, although top-of-the-line PC gaming rigs will always be more powerful. You simply cannot change that, primarily because PC hardware is always evolving, while console hardware rather quickly need to catch-up. Actually, that’s exactly why Microsoft and Sony decided to bring more powerful variants of their consoles, with Xbox One X and PS4 Pro, and we expect that the market will see more of those upgrades, in a shorter time span. Microsoft doesn’t allow Xbox One X exclusives. Do you think this will hold back developers from using the full potential of the system? Igor Gajic: Probably, but you simply can’t alienate people who still own a weaker system because you would lose a huge part of the market. Which PC GPU do you think the Xbox One X GPU comes close to in terms of overall performance? Igor Gajic: That’s rather difficult to answer because there’s no GPU out there even remotely similar to the one that’s in One X. One X has a shared memory between the system and the GPU, so we surely can’t say that One X has a GPU in range of Titan Xp, which has 12 GB of GDDR5X memory. In absolutely ideal cases, One X offers 9 GB of GDDR5 memory for the GPU. So, performance-wise, One X GPU is somewhere in the range of GTX 1060. Then again, you have to consider memory bandwidth, too. One X offers a memory bandwidth of 326 GB/s, which can be seen in GTX 1080. So, it’s an interesting mix, for sure. Finally, is there anything more you’d like to tell our readers before you go?